College Park Industries® (CPI), Fraser, Michigan, has released a new interactive CD-ROM and video titled "Technology for the Human Race." 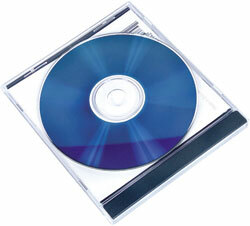 The CD-ROM and video are packaged as a set and are free upon request. Featuring College Park products, the TruStep®, TruPer®, and Venture", the VHS video runs about ten minutes. The interactive CD-ROM features testimonials from ten individuals as well as product information, product animations, and College Park company information. CD viewers can click to e-mail or visit College Park's website. 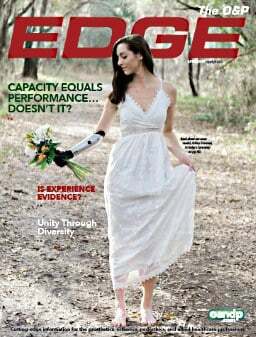 Peaster & Williams Central Fab Inc. can provide fabrication of a full range of upper-extremity prostheses from a high-tech hybrid limb to a low-tech cosmetic arm. P&W also can assist you in component selection and provide fabrication tips. UEP specialist Jim Williams has over 14 years experience in UEP construction. Choose your components from numerous vendors, such as Hosmer, Otto Bock, Liberating Technologies, Motion Control, and others. From old styles to new technology, they can handle all your upper-extremity needs. Peaster & Williams Central Fab Inc.
O&P Basics" Instant Sanitizer, designed specifically for amputees, is an antimicrobial spray that destroys disease-causing bacteria that can produce skin irritation and odor. The sanitizer also contains skin softeners and emollients. Says Andy May, cyclocross and mountain bike racer, "[When] I plan to spend three to four hours in the saddle, getting grimy, sweating from fierce competition, and suffering cuts and bruises, I can sure tell a huge difference when I use O&P Basics Instant Sanitizer. I don't have to worry about odor or infection." Ohio Willow Wood also will be assisting Woodward Laboratories with sales of Diabetic Basics" for proper diabetic foot care. Safe Stance Control, Dynamic Assist— Without Locking the Knee! Available from Ultraflex is its latest technological breakthrough, UltraSafeStep" (patent pending), for your stroke rehabilitation patients. The Ultraflex R&D team has developed the revolutionary USS so you don't have to lock up the knee to have the same stance control found on other traditional locking knee joints. 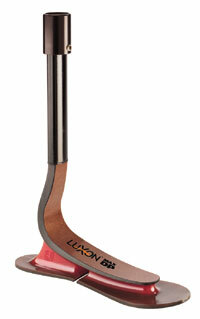 And it provides a dynamic swing assist (UltraMuscle") to help gait training. 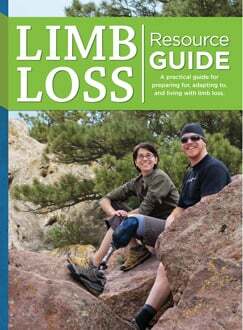 USS is indicated for stroke rehab patients needing gait training (forced limb use programs) and for patients needing permanent gait assist for extensor weakness causing knee instability and buckling. Call for a FREE USS packet, including an exclusive USS t-shirt! Ohio Willow Wood has expanded its Foundation and Magnum product lines with nine new components. Whether you need to twist it, turn it, slide it, angle, or offset it, Ohio Willow Wood has the durable, reliable, and affordable solution! 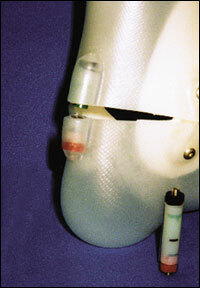 The slide devices are very low-profile, lightweight, and can be used in the definitive prosthesis. The new Euro International Skin Care Liner, now available from PEL Supply Company, is suitable for patients with skin irritations and diabetic and geriatric patients with low to medium activity levels. It can be retrofitted to replace the Dermo liner. 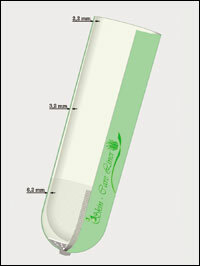 This specially designed Skin Care Liner uses SiLGel Silicone with Aloe Vera to keep the skin smooth and elastic, thus virtually eliminating the cause of most skin irritations and guaranteeing a more secure prosthetic fit. The new liner features a 10-cm-long distal reinforcement and a silk-satin skin contact surface with optimal grip. Otto Bock Health Care now provides same-day turnaround on its most popular Springlite® feet, the LuXon" Max and LuXon" Max DP. Otto Bock's Springlite prosthetic feet are made with advanced carbon fiber composites for high-strength resiliency and superior flexibility. The LuXon Max and LuXon Max DP are manufactured with a high-tech LuXon elastomer, which provides patients superior cushioning and stability. They feature a transverse separation of the sole, which enables the patient to experience more natural, independent rotation of the forefoot and heel sections throughout gait. Springlite feet come with a 60-day trial period and a 36-month warranty. Thermoskins", the new standard in affordable lower-limb silicone cosmeses from Alps, are available for a limited time with a 10-percent introductory discount through SPS. The introductory discount is available on all SPS purchase orders for Thermoskin dated September 8 through September 26, 2003. Available in either a small or large size to fit most calf sizes, Thermoskins are manufactured in a fully expanded form to save time during finishing and final fabrication. 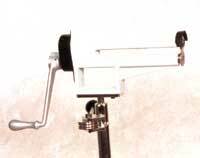 Once the Thermoskin is donned on the prosthesis, a heat gun is used to shrink the skin to size, ensuring a more uniform thickness and added durability. Designed and manufactured exclusively by U.S. Orthotics, the new PACO (Plastic Anterior Control Orthosis) offers a variety of features tailored to your patients' needs. PACO is a three-point pressure orthosis that encourages a mild-extended posture. The proper form and functional design utilizes lightweight plastic, lined with plush soft foam. 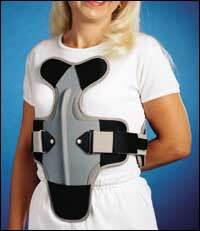 Double padding at sternal and lower abdominal areas assures patient comfort. Easily adjustable circumference straps adjust at back pad. It's these types of new products that have made U.S. Orthotics one of the industry leaders in the design, manufacturing, and servicing of orthopedic products. Products are competitively priced, with topnotch service. After a design overhaul of the Mini Lock, a new name was in order, and the Grommet" Lock was born. Grommet, the nickname for very little skiers, seemed like a perfect fit, since the lock offers high performance and durability in any condition, all in a very compact size. Made of water- and wear-resistant material and weighing only 27 grams, the Grommet is ideal for upper- and lower-extremitypediatrics. It can also be modified for minimum clearance and features a one-shot fabrication procedure for lower-extremity sockets. For a limited time, SPS is giving a 10-percent price reduction on all MICA products. Super Grip Sleeves are made with hypoallergenic materials with a specially extruded surface to provide superior gripping capacity. The taper design provides excellent support for every activity level. Super Grip Sleeves are available in six colors. Rotary Plastic Trimmer is ideal for trimming polymer sockets and useful for trimming leather. The trimmer cuts materials up to 1/4" thickness. It is not recommended for laminated carbon fiber/reinforced plastic.